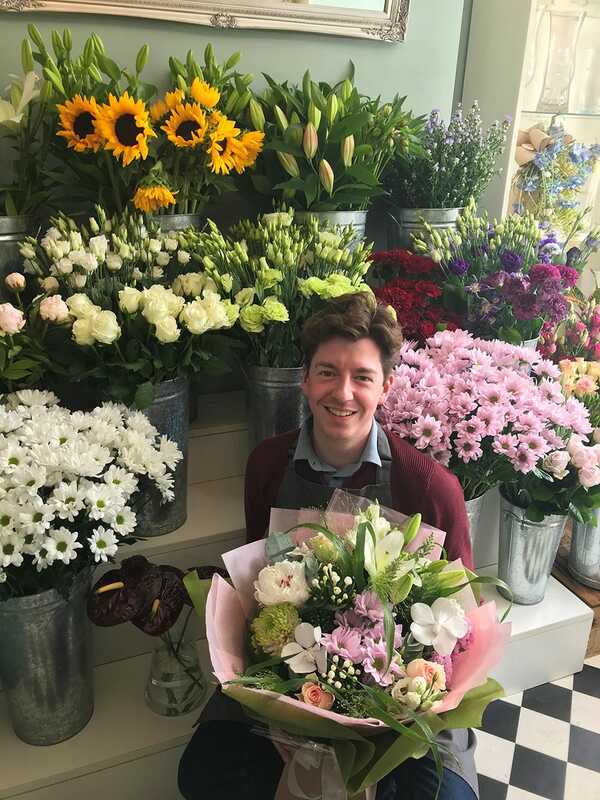 With the royal wedding between Prince Harry and Meghan Markle almost upon us, local florist, Jake Nicholson-Lailey, tells us about the bouquet he would create for the princess. I am Jake Nicholson-Lailey, I own and manage Abundiflora, a beautiful florist in the heart of Somerset. What does your version of the royal wedding bridal bouquet consist of and why? I would give Meghan a bouquet reflecting her warm and caring personality and something to link back to the golden age of Hollywood glamour, given her acting roots and classic beauty. Gardenias, roses and ferns in a trailing style. Quite a petite design so not to overshadow her beauty, and, of course, the dress! I think Meghan will carry something in keeping with royal traditions, but with a nod to the current trend for heritage flowers and English design. I think her bouquet will be trailing but not too large, with lots of white and potentially a hint of palest pink. I think her bouquet will feature peonies, sweet peas, stephanotis and lily-of-the-valley. Of course, every English royal bride carries in her bouquet a sprig of the myrtle planted by Queen Victoria, and I’m sure this tradition will continue. How do you see wedding trends potentially changing after the royal wedding? Every publicly broadcast wedding has an effect on trends, whether it’s a soap opera wedding, a celebrity wedding or indeed a royal wedding. After Prince William’s marriage to Catherine, we saw a huge rise in the popularity of lily-of-the-valley. Most brides could not afford this very expensive bloom and opted for gypsophila as a cost-effective alternative. I think Prince Harry’s marriage to Meghan will continue the current trend we are seeing for pastel tones with a country ‘just gathered’ feel. Click here for your chance to win a stunning bridal-inspired bouquet!